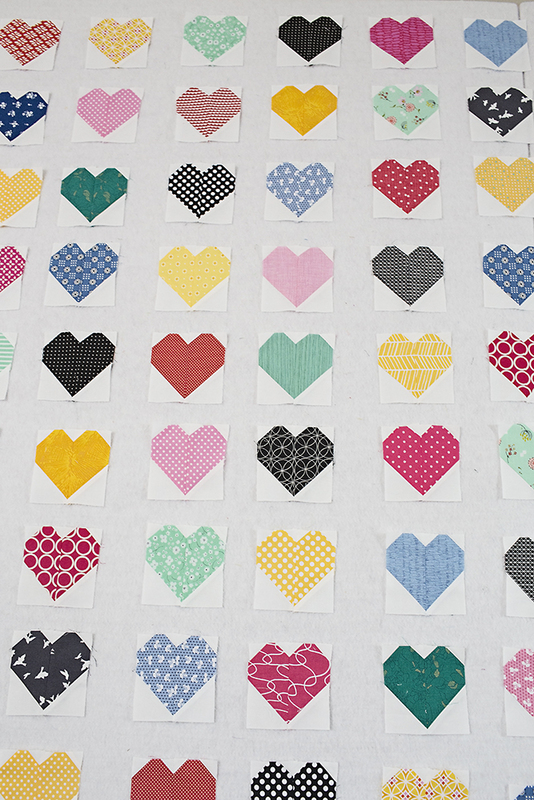 I thought I'd share just a few photos of my Hanna Hearts quilt progress while I am away at QuiltCon. It's so cute! My 8 year old assures me. I am planning on adding some white sashing between everything. Probably either 1-1/2" or 2" wide. I mentioned in my last post that I used Allison of Cluck, Cluck, Sew's Simple Heart Tutorial. These are the 4" hearts. I just love them! I'm going to back this one with minky so it's nice and soft for the recipient!